Perhaps the most famous one is the Samaria Gorge at the westernmost edge of the Omalos plateau in Sfakia, Chania prefecture. With a length of 14 - 16 km., it is the longest gorge in Europe and annually draws thousands of tourists intent on taking the 6- to 7- hour walk to the exit at the coastal village of Agia Roumeli. The lesser known Imbros Gorge begins at the plain of Imbros and winds to the sea near Chora Sfakion. 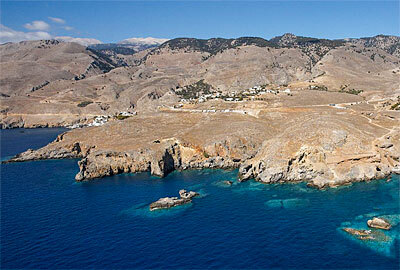 The Kotsifou and Kourtaliotiko gorges are just a few kilometres apart near Plakias in Rethymno prefecture. 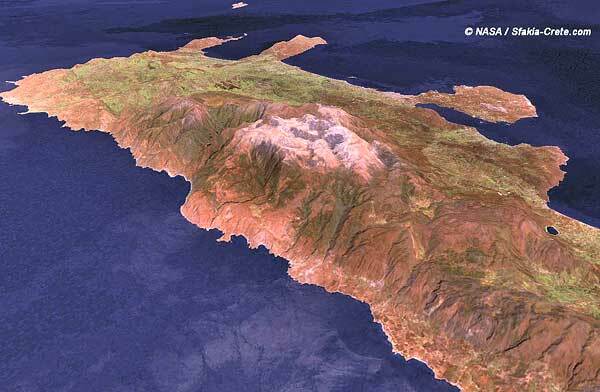 In Eastern Crete, the Valley of the Dead was so named, because of the Minoan graves found there. 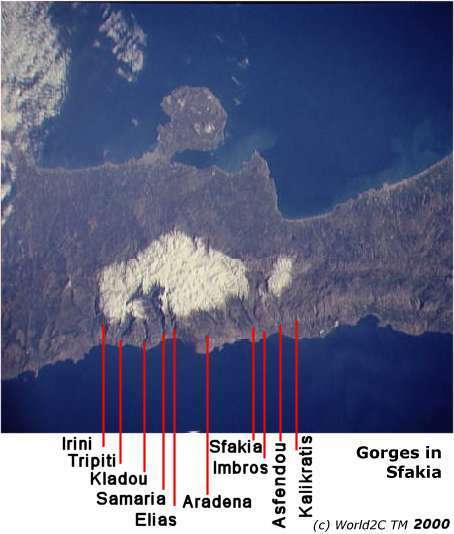 There are a dozen major gorges in Sfakia, and as many smaller ones, mostly running roughly N-S, and opening onto the Libyan Sea. 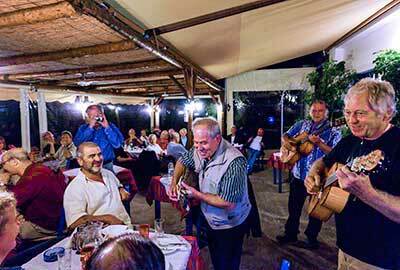 West Sfakia is particularly rich in gorges, two of which once had villages: the Tripiti Gorge; and Sfakia's largest, the Samaria Gorge. The Samaria Gorge and its surrounding area have been famous for its tall cypress trees since antiquity. Endemic plants often develop in gorge environments (Samaria, Imbros). 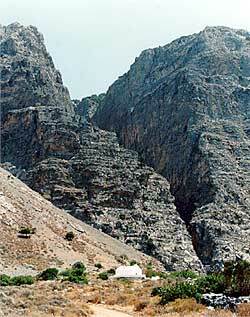 The gorge bed of the Imbros Gorge was the gateway to Sfakia for centuries, before road access. 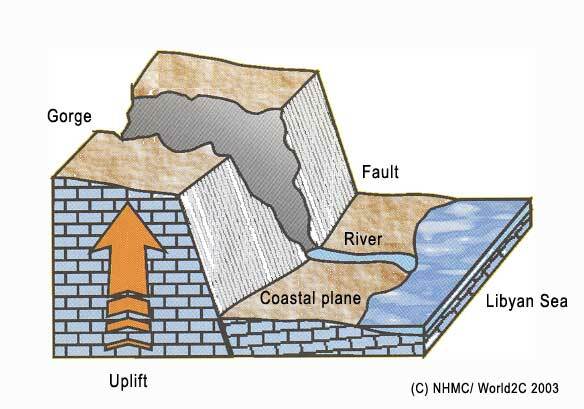 The geological composition of the island and centuries of seismic activity have caused it to be literally honeycombed with an estimated 3,500 caves, many of which are of extreme archaeological and religious significance. In the past and even more recently, caves were used by Cretans as places of refuge, cult sites and centres of resistance to invaders. There are believed to be over one hundred churches in caves around the island. According to legend, the Dikteon Andron on the Lassithi plateau was the birthplace of Zeus, the supreme deity who later grew up in the Ideon Andron on Mount Psiloritis. 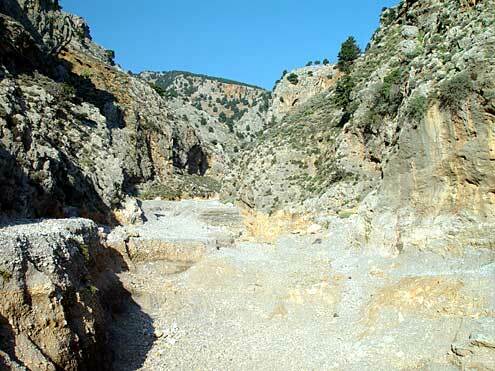 Many visitors to the Cretan gorges are wondering how these gorges were formed. 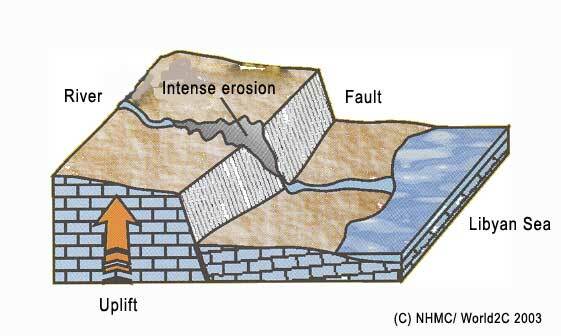 Since the late Miocene period, 5 to 10 million years ago, the intense uplift of the whole Cretan area, due to plate tectonics, accelerated karstic weathering, forming these many gorges and caves and plateaus. Note that the lower end of the gorge is not yet open widely. 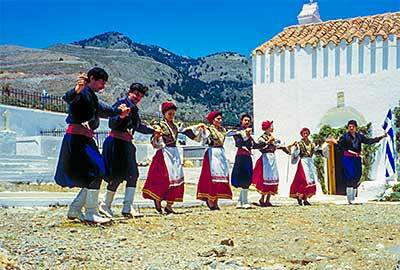 This can be seen at Ha gorge, in front of the beautiful village of Vassiliki, Ierapetra, South-east of Crete. 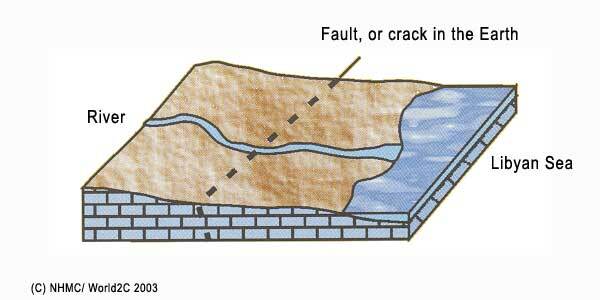 The gorge has a height of 700m., and it's base opening is 8 m.